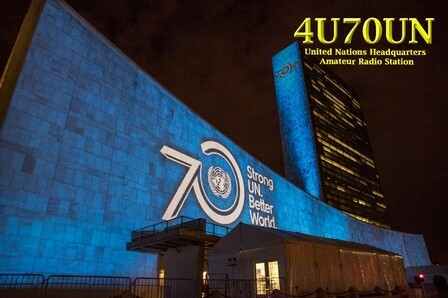 The call sign 4U70UN was used 24 + 25 october 2015 to celebrate the opening of the 70th General Assembly and the 70th anniversary of the United Nations. the 4U70UN log has been uploaded to the LoTW !! 4U70UN OQRS (direct or bureau) is available here. 18 June 2014: info from Mohamed, KA2RTD: the 4U1UN beacon is back on the air !! Founder and President Emeritus of 4U1UN.